IUGR, or intrauterine Growth Restriction, is a very serious complication during pregnancy. A baby does not receive the nutrition it needs to grow at the rate that it should. 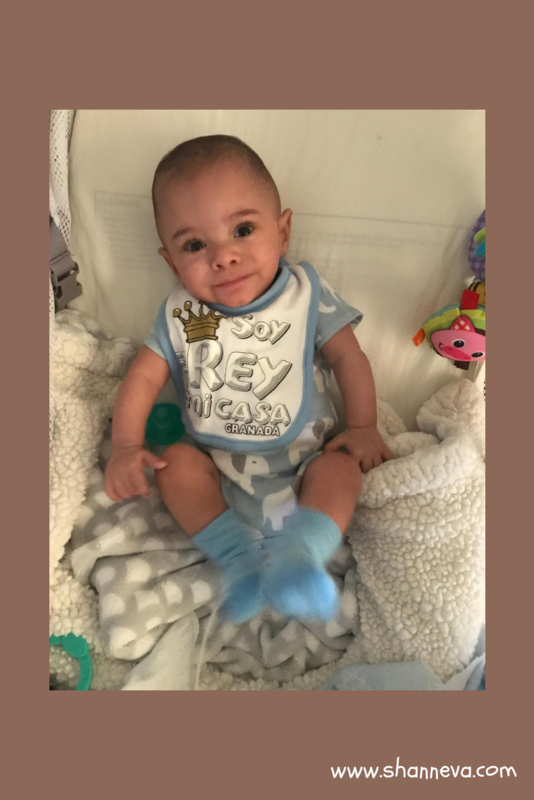 Intrauterine growth restriction is a condition of the placenta, and it can be caused by many different reasons, some unknown. Unfortunately, there isn’t much medically that can be done to help. Once the baby stops growing, delivery is the only option. It happened in my pregnancy, and we have met others who have battled against IUGR. You can read their stories HERE, HERE, and HERE. Today, we meet an amazing fighter, as told by his mom, Vanessa. Gabriel was born at 25 weeks. He weighed only 13.1 oz and was 9.5 inches long. 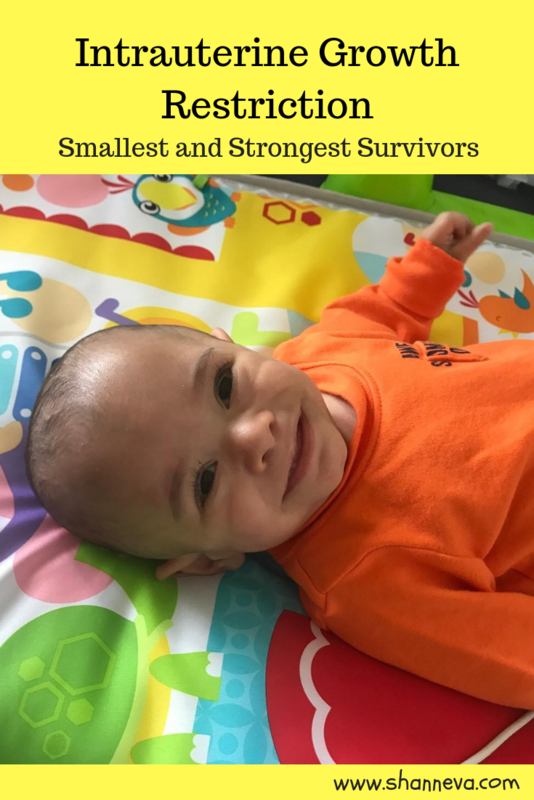 He was one of the smallest babies ever delivered at his hospital. We were in the nicu for 155 days. The hardest part was leaving him every night, especially at the end when he became more awake and alert. I would see him awake through the camera, and I would just cry thinking how bad I wanted him home. I would spend the night with him at least 3 times a week. Gabriel faced many challenges specially with his lungs. He stayed with a breathing tube for 12 weeks. Gabriel was finally put on nasal cannula at 37 weeks. He had 16 blood transfusions, a large PDA that closed after two rounds of medication, and a brain bleed grade 1 that resolved on its own. Gabriel developed ROP and needed laser eye surgery at 1 week adjusted. He also had a g tube placed because he wouldn’t finish his bottles at one month adjusted. This was my second pregnancy after a 6 week loss. During an ultrasound at 22 weeks, we discovered my baby wasn’t growing the way he should have been. He was measuring about 3 weeks behind. All the genetic testing was negative, and there wasn’t any markers that indicated an abnormality. We even had a genetic doctor suggesting us to terminate the pregnancy because “It wasn’t going to end up in anything good”. Of course he denied it, and we changed doctors immediately. We were given the IUGR (intrauterine growth restriction) diagnosis which means that my placenta wasn’t providing him the right nutrition for baby to grow properly. Later, at 24 weeks, I had no more amniotic fluid, and I was told my baby wasn’t going to stay inside much longer. I was given steroids shots to help lung development. Two days after that, my blood pressure went super high, and Gabriel’s heart rate was dropping. He had to he taken out immediately! He was born through an emergency c-section and needed resuscitation at birth. We are doing pretty well. He’s been home for almost 3 months now. Gabriel is currently 4 months adjusted. He still needs oxygen, but only at nighttime and very minimal, 0.1. We are still working on bottle feeding because he doesn’t really like his bottles. He has 8 specialists, and he’s going to physical and feeding therapy once a week. Gabriel is able to roll belly to back since 2 months adjusted, reaches for toys, smiles and just started laughing last week! He is still working on using his arms to push during tummy time because he hates it so much. Gabriel has always had problems with weight gain and needs a lot of extra calories added to my breast milk. He is currently 10 lbs and 21.5 inches long. He is growing on his own curve and his doctors are happy about that. I know the NICU is a very scary place and you think there is no end in sight, but trust me, it’ll pass. Those long nights looking at your baby through an incubator will be in the past and you will have your precious little miracle with you to cuddle all day. Read, sing, pray for baby. Celebrate every little milestone even if it’s just going down on the vent settings. Also, try to find time for yourself at least once a week. 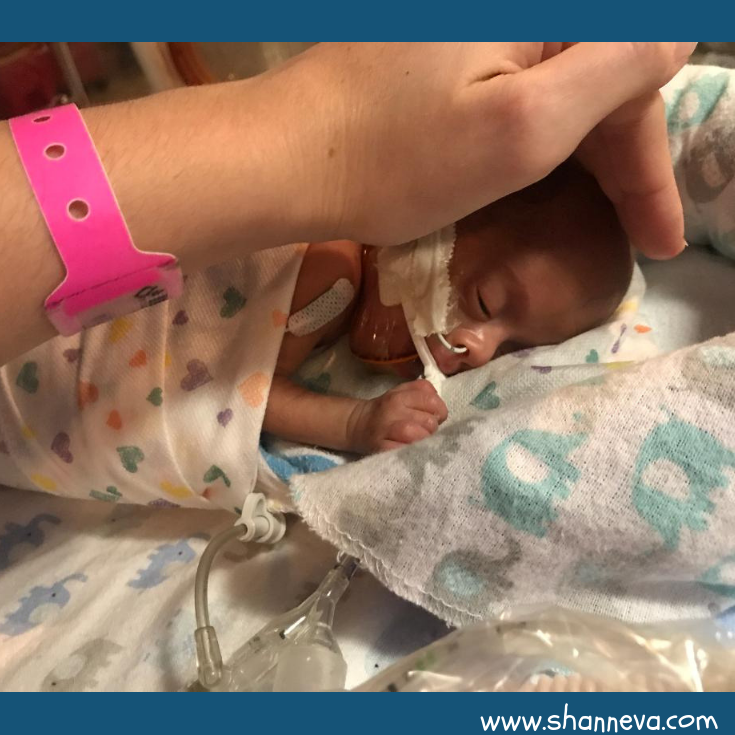 It’s okay to take a break from the nicu when needed. 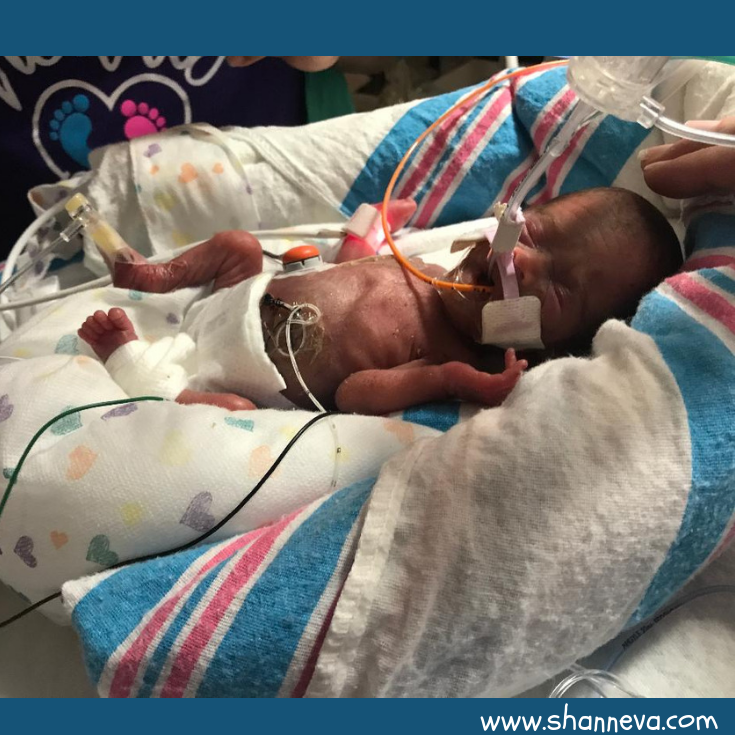 Ask all the questions you need, and if your nicu has a support group, join them! 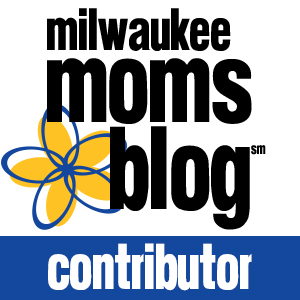 You will connect with other mommies and share each other’s journey. Thank you so much to Vanessa for sharing her amazing fighter with us. Please leave any supportive questions or comments below. Thank you for sharing. 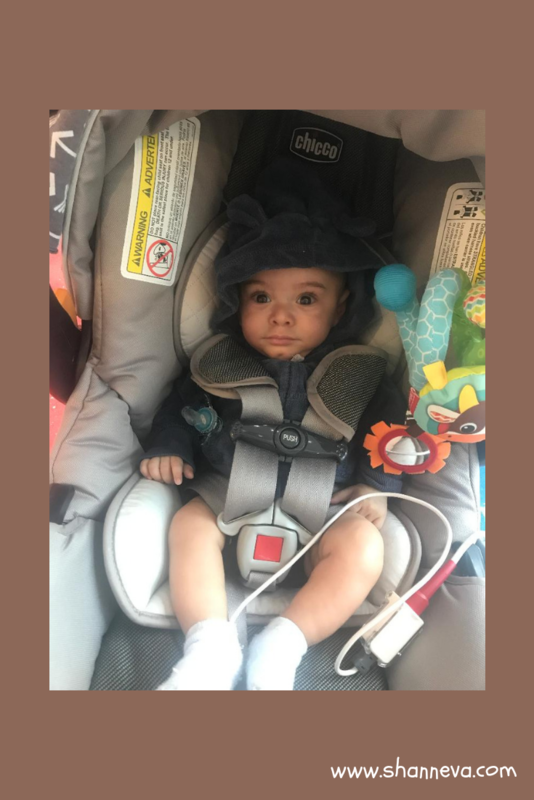 I developed preeclampsia at 20 weeks, BP skyrocketed. So I had to have my girl at 24 weeks 1 day. She is almost 2 months now, and SUCH a fighter! This gives me so much hope!! Oh my goodness, he is so cute! That is crazy to read the one doctor recommended terminating – so glad they were able to get away from him and get a new doctor! The human body is such an amazing, but a scarily-complex thing. I was familiar with this term but didn’t know all the details about what it could entail. I’m so glad to see that little Gabriel is doing so well! Wow! That must have been so hard (and it probably still is in some ways). I have a long-time friend who’s wife delivered twins at around the 26 week mark. They had such a long stay in the hospital, but both babies are home now. The little boy seems to be the strongest. The little girl still uses some sort of breathing tube, but is still doing well. I like that she prayed for and sang to her baby. I think those are very important! Oh wow! I’m so glad I found this blog. I’m 25 weeks and haven’t had an official diagnosis yet but my baby is in the 11th percentile. She’s active and heart rate is stable so that’s a comfort. I’m going for weekly monitoring. Seeing the story of your little one gives me comfort that things can turn out okay, although not without its challenges. Well wishes for you and your family.